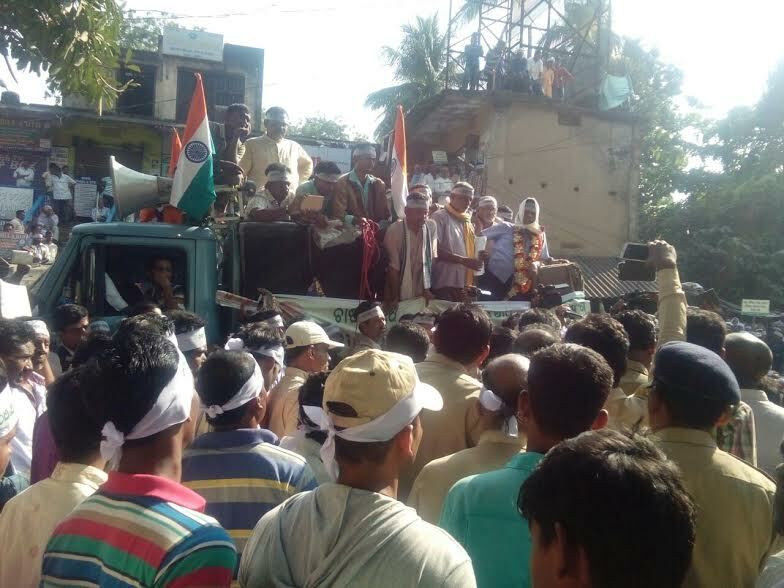 Report by Akshya Rout, Jajpur: Around ten thousand of farmers under the banner of Navnirman Krushak Sangathan on Friday organized a rally in front of the district collector ‘s office at Jajpur to press for their long standing demands of price, prestige and pension. “Everything has changed over time barring the fate of the farmers. At a time when slogans are being raised for second independence, I believe the foundation stone for the second independence movement was laid here today. Almost 80 percent of the population of Odisha are dependent on farming. However, one would detest himself after seeing the condition of farmers,” said Akshya Kumar the president of Navnirman Krushak Sangathan . 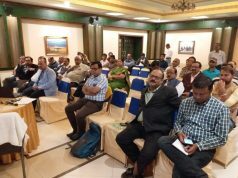 “We talk about industrialisation here in Jajpur. However, Nagada also exists here. The farmers fail to see progress in any area. We will ghereo state assembly on 14th December to press our demands. Around 36 Lakh farmers of the state need a monthly pension of RS5000 from the government, added Kumar. “The farmers have suffered the most in past 70 years. They have nothing to speak of. Neither do they have social security, nor do they have prestige. They do not get the correct procurement price for their produce. They do not even have an organisation to channel their demands. That is the reason we are trying to unite them. 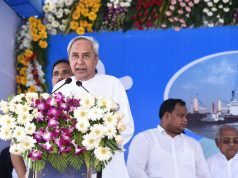 I am sure the government will be forced to give in to their demands, should the farmers come together,” said Somyaranjan Patnaik the former MP. The meeting was also addressed by Rabi Das, Umakanta Jena and others.